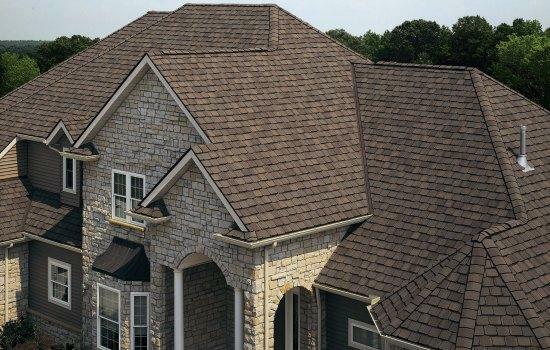 We get CertainTeed Shingles for a below market price, and we do CertainTeed Installation for the below market price. Through testing and regular re-accreditation we ensure that all supervisors and at least 50% of the company’s installers are Master Shingle Applicators™ (MSAs). Information from the CertainTeed Shingle Applicator ‘s Manual provides instruction to MSAs, making them some of the most knowledgeable roofing installers in the industry. One or more company employees have earned the Shingle Quality Specialist™ designation after passing a test on the CertainTeed Shingle Technology Manual, which proves their knowledge of shingle products, quality standards and satisfying customer objectives. Trust in their expertise to explain important differences between shingles and offer an appropriate selection of products for your roof. The SELECT ShingleMaster must carry worker ‘s compensation insurance, as required by law, and liability insurance covering roofing. This coverage is critical for your protection. This Company has been in business for a minimum of five years or held another CertainTeed credential for at least one year. The SELECT ShingleMaster agrees to abide by a code of ethics that covers compliance with applicable laws, standards of workmanship, customer service and business administration. This Company must maintain a customer satisfaction rating of 4 or higher on a five-point scale. A SELECT ShingleMaster is authorized to offer you SureStart™ PLUS 3-STAR, 4-STAR, and 5-STAR extended warranty protection on your investment. Upgraded 130 mph wind warranty available and extended years of transferability (see footnotes in SureStart PLUS chart for specifics). Your SELECT ShingleMaster has met the most stringent credential requirements in the industry. CertainTeed stands behind the SELECT ShingleMaster ‘s workmanship for 25 years when you select 5-STAR coverage. Your roof will be covered by the strongest warranty in the industry. To monitor your level of satisfaction, CertainTeed will send you a Customer TrackRecord™ Survey, to rate the professionalism and workmanship of your SELECT ShingleMaster. CertainTeed periodically conducts Roof Inspections to monitor that the Integrity Roof System standards are met. 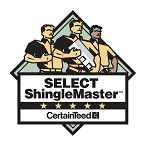 This SELECT ShingleMaster has earned CertainTeed’s most advanced credential, which represents the highest standards in the shingle roofing industry. Their SELECT status elevates and differentiates their company from almost all other roofing companies in their marketplace. That is why only SELECT ShingleMasters are authorized by CertainTeed to offer SureStart PLUS 5-STAR Coverage. Disposal expenses (not included with 3-STAR Coverage). Repair or replacement of any defects in the SELECT ShingleMaster ‘s workmanship (only included with 5-STAR Coverage). The warranty can be fully transferred from the original consumer to the subsequent property owner during an extended period of years. Unlike most warranties that limit the transfer period to five or ten years, SureStart PLUS gives you an extra advantage should you decide to sell your home. The wind warranty for lifetime shingles can be upgraded to 130 mph. By upgrading the wind warranty, you will worry less about your shingles being blown off by storms and high winds.